A large part of any agricultural retailing business revolves around fertiliser and chemicals. What sets Kojonup Agricultural Supplies apart from the rest is that we have experience in the actual purchase and use of these products. So, when you want practical advice on your fertiliser & chemicals or just someone to bounce some ideas off – come and see us, you won’t be disappointed. As agents for CSBP, Kojonup Agricultural Supplies offers their full range of fertilisers and the YaraVita range of trace elements. It’s as easy as picking up the phone and getting us to order what you want. We also stock their soil and plant analysis service kits to allow you to make informed fertiliser decisions. If you are not sure of your requirements, we can arrange contact and provision of advice from either the local CSBP area manager or an independent agronomist. CSBP has over fifty fertilisers with various combinations of macro-nutrients and trace elements to meet your requirements. CSBP is also the supplier of the YaraVita’s comprehensive range of single and multi nutrient composite products for soil, foliar, fertigation, hydroponic and seed treatment applications. The YaraVita products are exclusively distributed in Western Australia by CSBP. One of the most exciting parts of partnering CSBP lies in their ability to provide the whole package. Using their Nulogic and Fertlogic packages they are actually providing services that target the inputs, therefore, minimising waste and maximising profit. There is simply no other fertiliser company which has invested in and is able to provide these sorts of progressive services. For every tonne of fertiliser you order through KAS we will pay $1 into the community group nominated by yourself. We also cater for those smaller Flexi-N requirements having on-site storage tanks that clients can pull from. 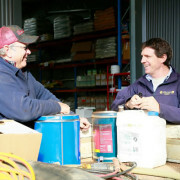 At Kojonup Agricultural Supplies you can be reassured that we not only order the product, but understand the importance of receiving the right product at the right time. 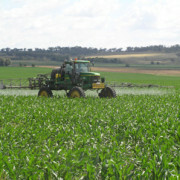 Broadacre chemicals is an ever-changing and complex industry. 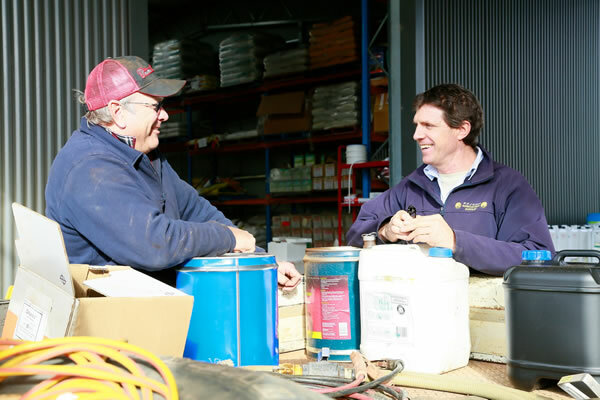 Here at Kojonup Agricultural Supplies it remains a focus to provide clients with the most up-to-date and effective products available. Through the NRI network and our own industry contacts, there is nothing we can’t access. Our range includes all the leading brands such as Nufarm, Syngenta, Bayer, Sinochem, Sacoa, Monsanto, Dow, Cropcare, Ospray, Sumitomo and many more through to the generic brands such as Farmoz, Chemtura, Kenso, Agro-Alliance, and Imtrade. Stock includes fungicides, herbicides, insecticides and rodenticides. We spend a lot of time securing chemicals at the right time and the right price. By doing this we can ensure a more consistent and reliable supply. Ample parking, loading and storage areas also allows for more bulk chemical (1000L shuttles) purchases. Kojonup Agricultural Supplies owns a light truck for on-farm bulk deliveries if requested. Coupled with our extensive experience in broadacre chemicals you can be sure of accessing the products you need when you need them.